An angel at rest made of resin surrounded by a vivid display of colorful fresh flowers and accents including pebble rocks, artificial moss rocks, and decorative greens. 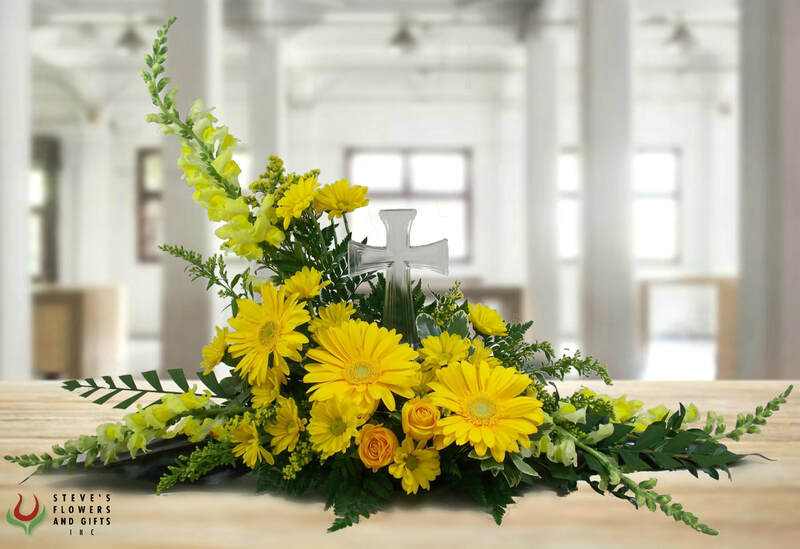 A peaceful display of miniature roses, daisy chrysanthemums, and waxflower designed in an angel urn accented with a sheer ribbon bow. 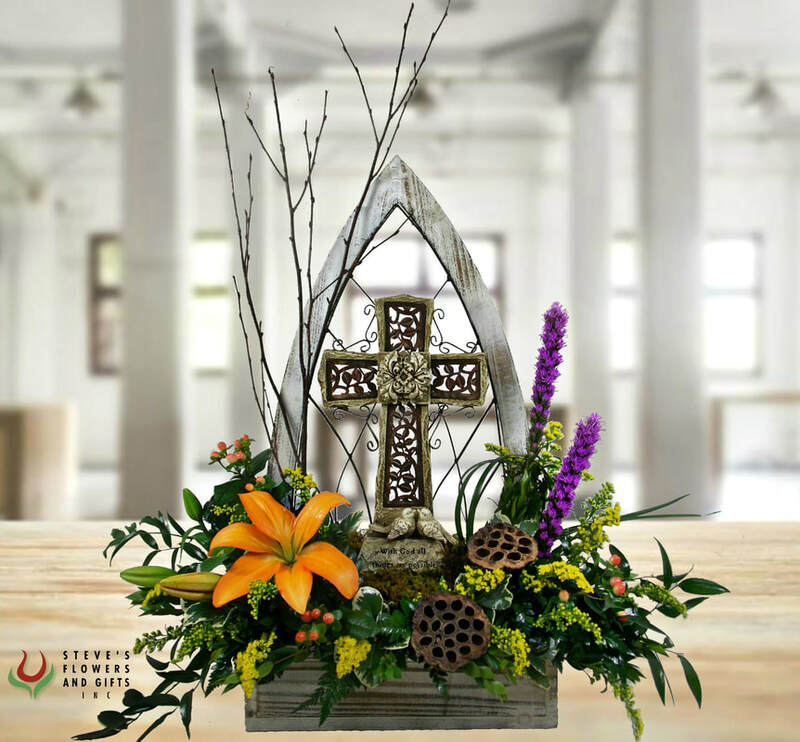 This angel statue features miniature, artificial flowers professionally designed in her wings. A Dove Wind Chime with stand is hanging above a mix of elegant white flowers accented with decorative greens. 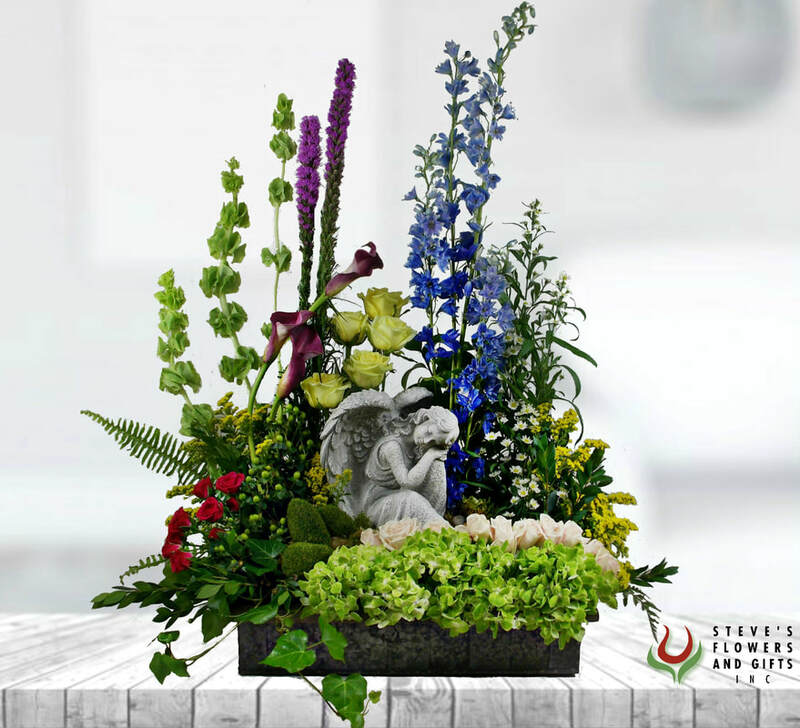 This metal Garden Container is filled with a mix of fresh green and varigated plants surrounding a miniature Angel Statue looking up toward heaven. We added accents of curly willow, and a colorful butterfly to finish off the display. An exquisite porcelain Sculpture of Jesus surrounded by radiant spring flowers. A work of art that will be cherished. 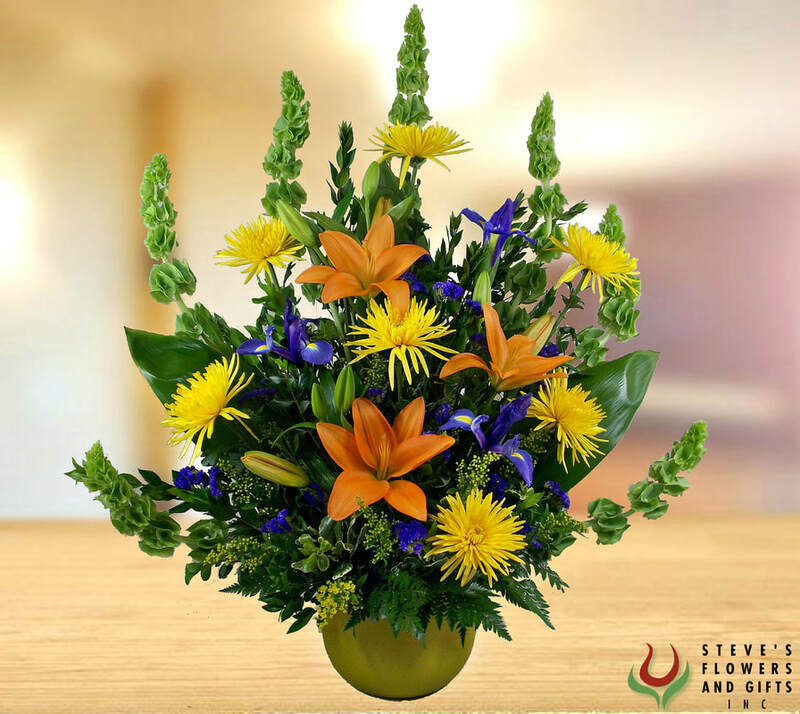 "When Someone You Love Becomes a Memory, The Memory Becomes a Treasure" surrounded with bright colored flowers. Father Inscription Reads: "Remembering you is easy Dad. It happens everyday missing you is something that never goes away." Mother Inscription Reads: "Your smile has gone forever. Your hand we cannot touch. We have so many memories, we loved you so very much."